Hearing of the petitions, which commenced on the 4th of December, will be concluded today. 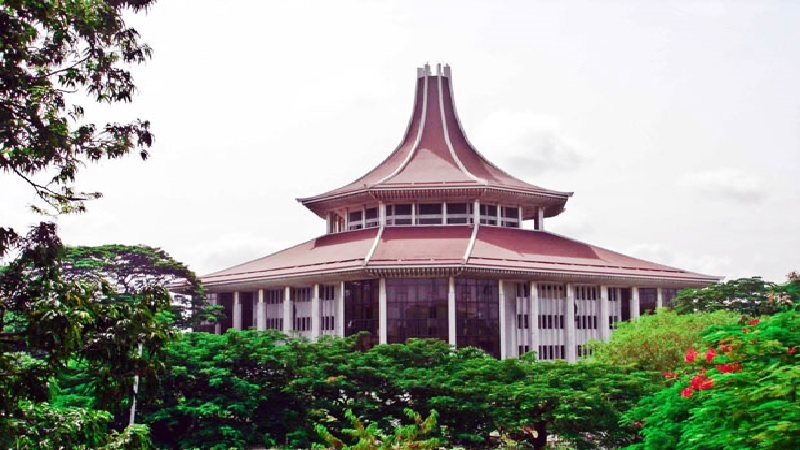 The 13 petitions filed against the dissolution of the Parliament will be hearing today before the Supreme Court for the third consecutive day. Presenting submissions before the Supreme Court yesterday, the Attorney General had stated that in accordance with Article 38 (02) of the Constitution, the Supreme Court does not have the legal authority to hear these fundamental rights petitions filed against the parliamentary dissolution. The intermediate petitioners have also presented submissions against the fundamental rights petitions yesterday. Accordingly, further hearing of the petitions will be resumed today.